Chocolate is my go-to Valentine’s Day gift. 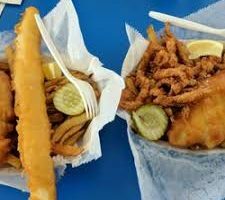 Who doesn’t love a beautiful box filled with delicious little morsels? 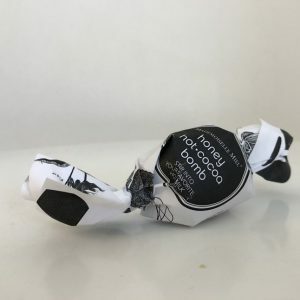 If you buy high-quality chocolates, one small piece makes you feel satisfied and decadent without entirely being a sugar bomb or derailing your healthy eating efforts. Here are a few of my favorite Chocolates for gift giving. Luis Sherry Chocolates are from an over 100-year-old company that was reintroduced in 2012. 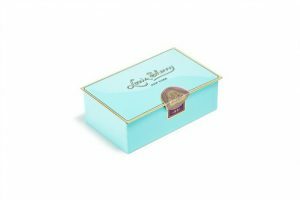 They are dedicated to using the finest ingredients, and the confections are packaged in a unique, heritage tin that is a recast of the original, now more than 100 years old. 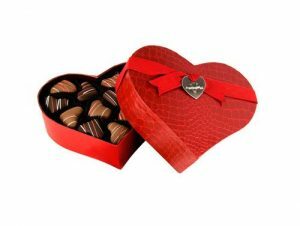 The 2-pc box houses their favorite flavors: Salted Caramel and Sicilian Orange and is a perfect little treat for your Galentines to let them know you are thinking of them. Honey Hot-cocoa bombs drop into any type of hot milk for delicious honey sweetened hot cocoa. 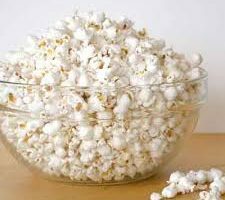 Use Almond milk or other milk alternatives as well as traditional dairy. Fun to give and receive and all made with St Paul Honey Bea Honey. 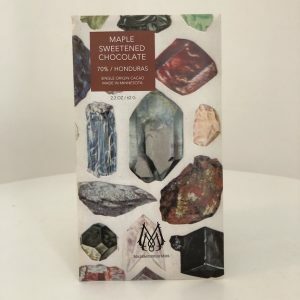 These beautifully packaged House made dark chocolate bars are sweetened with Wisconsin organic maple sugar and single-origin organic cocoa beans and made in St Paul. 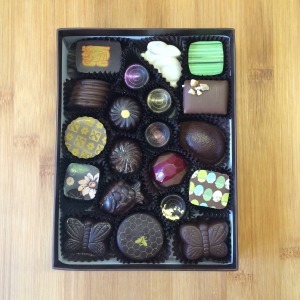 This 20-piece box includes seasonal truffles from St. Croix Chocolate Co., B.T. McElrath, Indulgence Chocolatiers in Milwaukee, Mademoiselle Miel, Infusion Chocolates in Madison, and Ethereal Chocolates in Illinois. Sweet buttery caramels are taken to the next level with a hint of Kosher Salt. You won’t believe this incredible combination of the buttery caramel, salt, and delicious chocolate and it is gluten-free. One truffle contains 12 mg of anthocyanins, which is the amount that the average American gets from their daily diet, so a single truffle could potentially double your daily intake of this healthful anti-inflammatory antioxidant found in purple vegetables like Cabbage, Eggplant, and Blueberries. 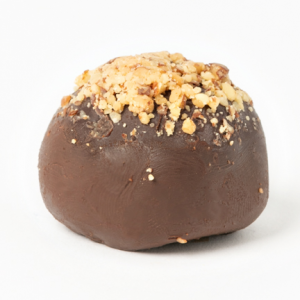 We made the truffle because sometimes we just want a sweet treat. Love Bites and the Menage e Du Cake $13 from Patisserie 46, Minneapolis and St Paul. 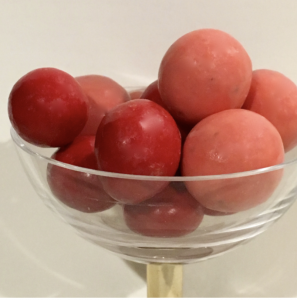 Love Bites caramel candies are red and pink fancy better-tasting Milk Duds and who doesn’t love a chef who can recreate a better taste experience while still appreciating the nostalgia of a Milk Dud. 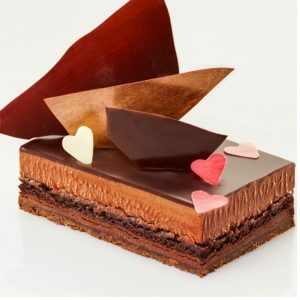 The Menage e duex Chocolat is a chocolate hazelnut mousse and 72% chocolate ganache cake designed for two but – I am including it here for the lonely hearts who made need a little pick me up to get them through the day of loneliness not love. John Kraus and Patisserie 46 will make your day a little less gloomy with this heavenly cake.